Remember when a no-deal Brexit was all but impossible? Well, now the government is actively planning for it - spending €3bn to do so and employing thousands of civil service into the bargain. 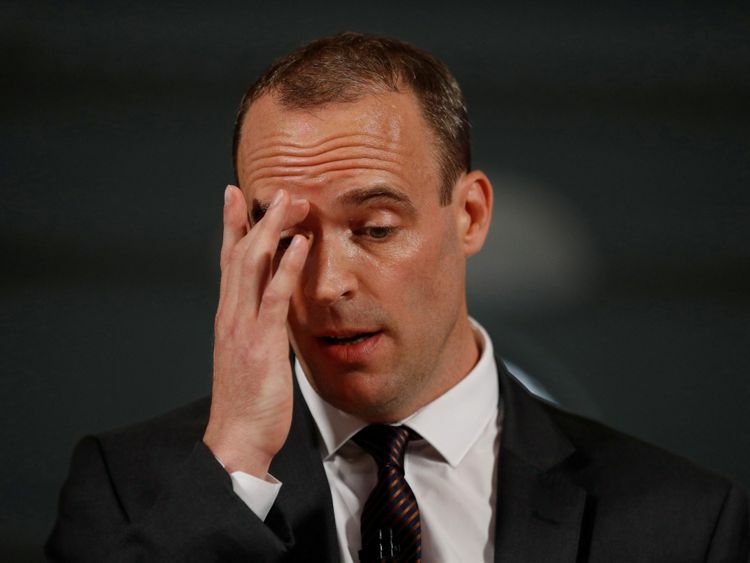 Today we saw the fruit of their labours unveiled by Brexit minister Dominic Raab: The first tranche of no-deal preparation documents, a vision of what a no-deal Britain would look like.To be clear, a no-deal would leave us with less market access and more economically and politically adrift from the EU than Iceland, Ukraine, South Korea or Japan. :: Cost of card payments 'to go up' under 'no-deal' BrexitThe government still says they don't think it's likely. But from these documents here are five things we've learnt about a no-deal Britain.1. Britain would be more bureaucraticAgain and again the documents outline how the bureaucratic burden would be increased on UK businesses. One section outlines what British importers and exporters would have to do before doing business with the EU. It outlines a whole ream of extra online and physical requirements. Today there are none - it is as easy to export to Rome as it is to Rotherham. The government advises that businesses might want to employ customs brokers or special warehouses to help navigate the bureaucracy. That might be possible for big businesses but smaller ones would find all of this very onerous. It's a far cry from the reduction in red tape businesses were promised during the referendum campaign. It's clear from the documents that although officials think a no-deal would be difficult for the British mainland, it might be impossible for Northern Ireland. Each section ends with the same set of paragraphs essentially saying that it isn't clear how these new regimes could operate in Northern Ireland successfully - and that the best we can do is continue to talk to the Irish government and the EU Commission.It was the Brexiteers who most wanted the government to prepare for no-deal. If their aim was to convince the public that no-deal was desirable scenario, then they might wish, after today, that they hadn't been quite so eager.